Italian rescuers saved more than 150 people, but at least 114 died, including a pregnant woman and two children, according to reports from local media. 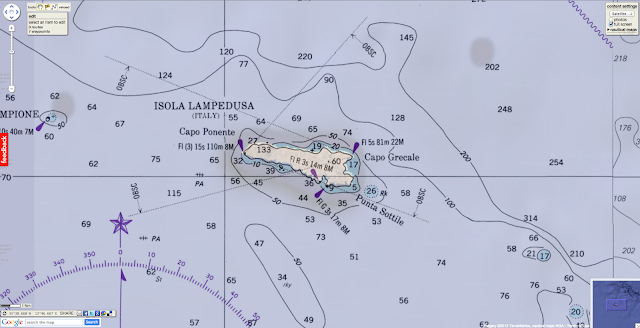 The ship sank off the coast of Lampedusa, a rocky Italian island that has been at the center of Europe’s illegal-immigration troubles for more than a decade. 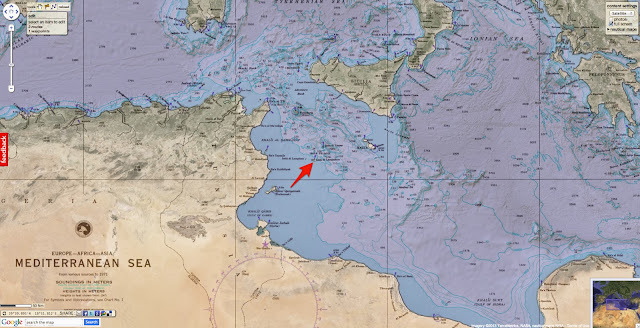 The island lies closer to mainland Africa — only 80 km from the Tunisian coast — than Italy, making it a key gateway for migrants searching for a way into Europe. 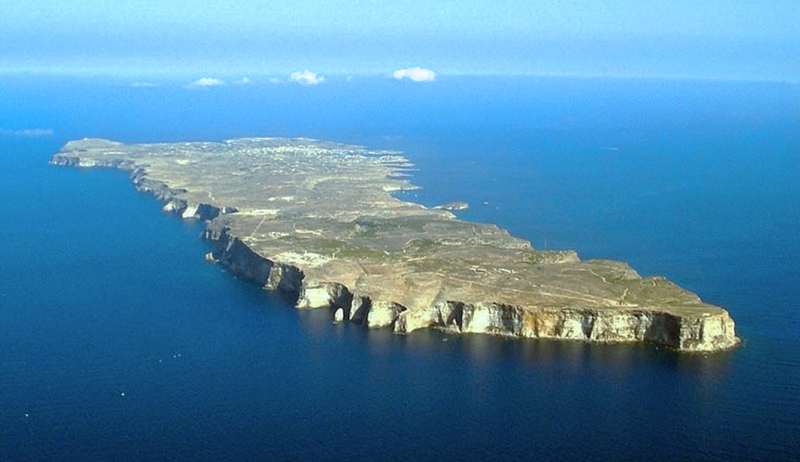 Lampedusa’s 6,000 residents are often outnumbered by thousands of migrants housed in improvised camps on the island. Refugees from Libya, Somalia and scores of other countries have fled to Lampedusa, many with the aid of smugglers, to navigate the dangerous and sometimes deadly passage. Over the years, thousands have died trying to reach Italian and Maltese shores: between 1994 and 2012, nearly 6,500 people died in the Canal of Sicily, according to Fortress Europe, an observatory that tracks migrant deaths. In 2009, overcrowding at the island’s temporary reception center led to criticism from the U.N. Refugee Agency. Two years later, during the Arab Spring uprisings in Tunisia and Libya, nearly 50,000 migrants made their way to the island, leading Italy to sign an agreement with the post–Muammar Gaddafi government in Libya — itself a major destination for migrant labor — to try and prevent migrants from traveling to the island. 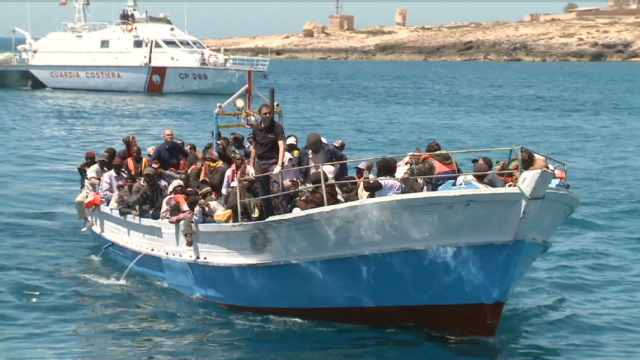 Refugees who make it to Lampedusa can apply for asylum in Italy, but many are sent back home. Some spend months on the island waiting for their case to progress. As their plight drew the ire of international agencies, hundreds continued to die off Lampedusa’s coast. In 2011, a boat in distress was left drifting in the Mediterranean for two weeks; only nine aboard survived, while more than 60 perished. We do it because we don't have [any other] solution. Because it's the only way." The Parliamentary Assembly of the Council of Europe investigated the incident, finding a “catalog of failures” by authorities from Libya, Malta, Italy and NATO. So far this year, the U.N. Refugee Agency estimates that 8,400 migrants entered Italy and Malta, nearly double the number from the first six months of 2012. The number of refugees pales in comparison with the tens of thousands who fled during the Arab Spring, but the Syrian civil war has led to a spike in migrants from that country. In July, Pope Francis visited the island, saying Mass for the migrants and condemning the “global indifference” to their plight. Only hours before the Pope landed on Lampedusa, a small boat carrying 166 African migrants reached the island’s port. After the latest ship disaster, a spokesman for the U.N. Refugee Agency commended the swift action of the Italian Coast Guard, but said he was dismayed at the number of refugees still perishing at sea.